We all know how certain foods items would taste without chutneys. These chutneys transform the taste of food we eat is true. It must be taken into account that chutney is a sauce or dry base for a sauce and it is from the Indian subcontinent that chutney had originated. There are various types of chutneys we consume. Are you aware of the fact that these chutneys provide us many health benefits also? If not then this article would throw light on the health benefits of various chutneys. These delicious tomato chutneys are everybody favourite and thy provide vitamins and gluthianine. A person could get relief from diseases such as cancer etc. Mint leaves are used to make pudina chutney is well known. Digestion is improved plus inflammation is reduced. The stomach gets smoothened. 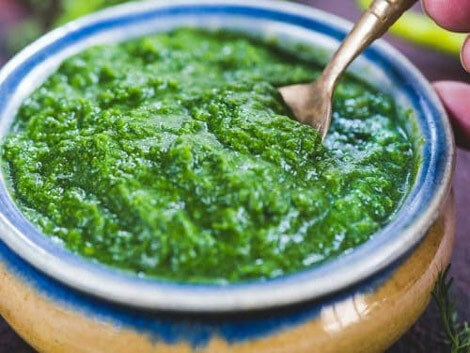 Intake of pudina chutney could also play a role in improving our appetite. This onion and garlic chutney is highly popular due to its unique taste. People with digestive issues and piles issues could get relief by the intake of this chutney. The antibacterial and antifungal properties of garlic lower the cholesterol levels in us. Indian gooseberry or amla or emblica chutney has high vitamin C content in it. Immunity gets improved plus blood sugar levels get lowered. Stimulation of pancreas is brought by amla. The important point is Curry leaves are used in making chutney that is rich in iron and folic acid. The body absorbs iron by the presence of folic acid. Issues like anaemia could be cured by this chutney. The presence of vitamin C, K etc in coriander leaves does superbly in those having diabetes. Stimulation of insulin secretion plus lowering of blood sugar levels are brought out by these nutrients. Also called as pirandai, veld grape, hadjod etc, adamant creeper is used to prepare chutneys that provide us many health benefits when consumed. Issues such as ulcer, constipation and piles would be avoided or cured by this amazing chutney. Kids when given pirandai could be free from many stomach disorders.